Take a seat in Joe 'Woody' Wood's barber's chair. It's quite a ride. 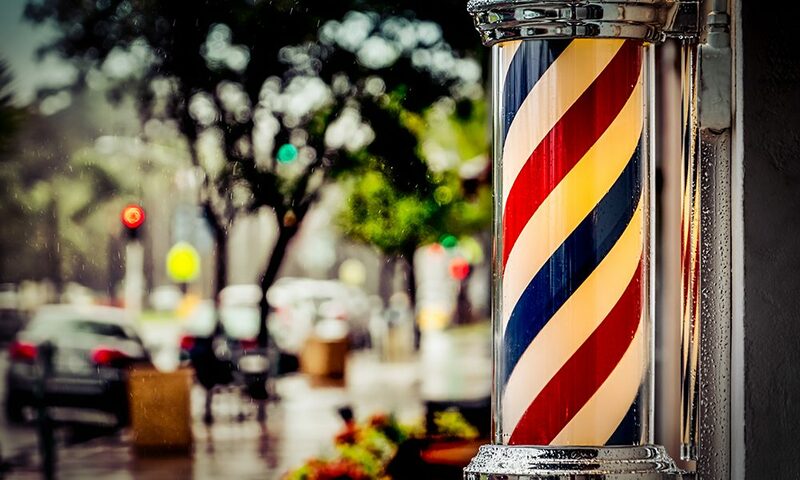 Happy spring from Woody’s Barbershop! As you may know, sometimes I randomly rant about this or rave about that. But not this time. I want to share something important, meaningful, heartfelt and truly life-changing with you. Today, I want us all to recognize life and the importance of doing one great thing while we’re still here on Earth. This is a true story about my cousin Eddy. He’s had the dandiest time the last 25 years with his ex-wife, with continuous battles in the courtroom for more money, changes in custody and onward. You know, all the usual stuff; just some more of it than most. Some words one might’ve used to describe her? “Freeloader,” “money-hungry” and “rotten-dirty cheat” all come to mind, but who I am to say? I cannot think of a person in our family who didn’t despise her. To everyone who is and was close to Eddy, we all thought the same thing: “That poor guy! Oh, he must be so broke and brokenhearted.” Since I lived with him for a few years and was his best friend, I know that what she did to him was above and beyond the call of duty, even for a mean person. But lo and behold, my cousin never wavered, he always paid her, respected her and never once bad-mouthed her in front of his kids, no matter how bad things got. He’d always man up and do the right thing. But most importantly, he always forgave her and wished good things for her. Me? Well, I wish I could tell you I’d have done the same, but I’m not even half the man my cousin is. I used to just hope evil things would happen to her, because he was never the same after that divorce. To me, she ruined his life! Thirty years later, we found ourselves at our uncle’s funeral—not cousin Eddy’s dad—and someone brought up Eddy’s ex-wife and his face turned beet red like he was going to scream, but instead, tears welled up in his eyes and he told us that she didn’t have long to live. It turned out that she had this rare form of kidney disease, which had killed her mother, and now she had less than six months to live. He told us how he felt so bad for her, and how their kids were devastated. I’d always heard him say he forgave her for this and that, but I never really believed him until that moment! At that point, I admit I was only feeling about 10 percent bad for her, because I’m now a born again Christian—and well, I got a good nudge from my girlfriend, Linda, along with a heart-to-heart tongue-lashing on forgiveness after I made a nasty comment about Eddy’s ex-wife. From that point onward, I made it a point to ask Cousin Eddy how she was doing, and it was always the same answer: “Not so good. She’s almost out of time.” That is, until this last time. You see, miracles can and do still happen, and she was in the hospital waiting to die when one happened to her. Eddy got a random phone call from his sister Marsha, who, for a very long time, has lived far away because of her military career. When my cousin started explaining how his ex-wife was in the hospital dying, she was intently listening on speakerphone, as she was driving with her eldest daughter and grandkids in the car. Thinking out loud, she asked, “Can nobody find her a kidney donor?” That’s when she offered to get checked to see if she was a match—and her daughter chimed in that she’d do the same. With only days to live, Eddy’s ex-wife miraculously found a kidney donor: Eddy’s sister’s daughter. So the person who I’d always assumed was just a mean, nasty, lying, cheating ex-wife had gotten a second chance. And I can honestly say, I can’t remember a day or time when I’d heard or seen my my cousin happier than the day he told me this story. He was ecstatic and dare I say, overjoyed about it, and that’s when it really hit me: That’s the power of forgiveness. My cousin somehow had really, truly, wholeheartedly been able to forgive her this whole time, while shallow me had not. And he was and is and always will be a much greater, kinder, gentler man because of it. I’ve never been one to forgive others and truth be told, I’ve been more known to hold a grudge and harbor hate and resentment, which is what I thought my cousin should’ve been doing all along. All of this adds up to probably a few handwritten letters or deeply emotional calls to help me rectify my past self, but I look forward to it and the healing that forgiveness will give me. I know now that forgiveness is one of life’s greatest gifts, and it really works, now that I’ve witnessed it first hand. I know that I must learn to forgive. Forgiveness is the key to life! It’s the one thing we can’t live without. We can’t truly love one another—and more importantly, ourselves—without it.